Bundle up, because winter has arrived. Last night at The Game Awards, PUBG players got a first glimpse of the game’s long-awaited winter map, Vikendi, which is available now on test servers. 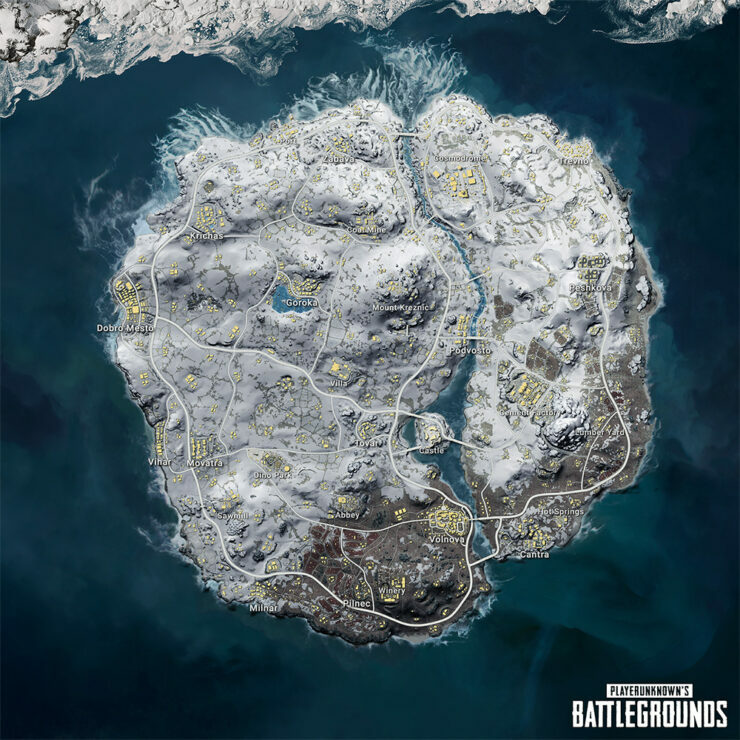 Vikendi is a 6x6km map, which is blanketed in snow, allowing players to track each other’s footprints. 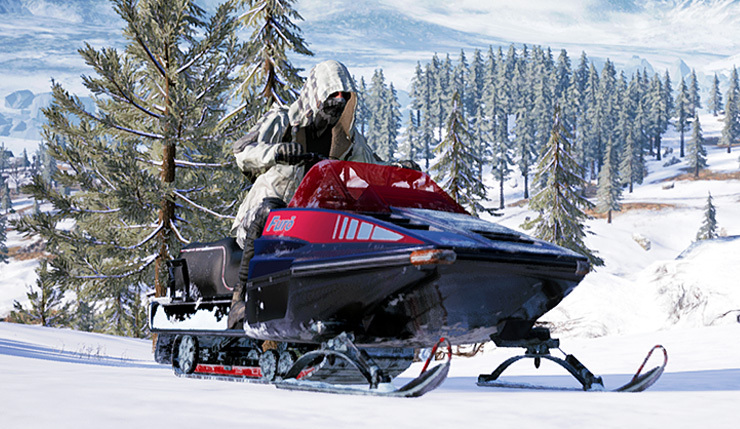 Of course, you need a way to get around this frozen tundra, so PUBG Corp. has introduced snowmobiles as well. You can check out an overview and description of the map below (click the image for full resolution). An isolated Northern resort island in the shadow of Mount Kreznic, Vikendi was home to a wide variety of attractions, businesses, and villages. Look to the future from the Cosmodrome or travel back to the past and walk with the giants at the prehistoric Dino Park. Visit the aging Castle or take a tour of the winery. Vikendi is as beautiful as it is dangerous and Survivors treading these bitter cold lands will have to watch their backs even more closely as the fresh snow is perfect for leaving behind footprints! The days are long on Vikendi, but it won’t be long before the sun sets and the auroras fill the moonlit skies. Here’s the Vikendi teaser trailer from The Game Awards. And here’s some gameplay courtesy of YouTuber Stifler Gaming. Updated parachuting system will be applied to the test server on Dec 10. We’re looking forward to your feedback on this updated feature! If you need to know about every minor bug fix and menu tweak, you can read the full, unabridged notes for update 24, right here. PUBG is available on PC, Xbox One, and, as of today, PS4. 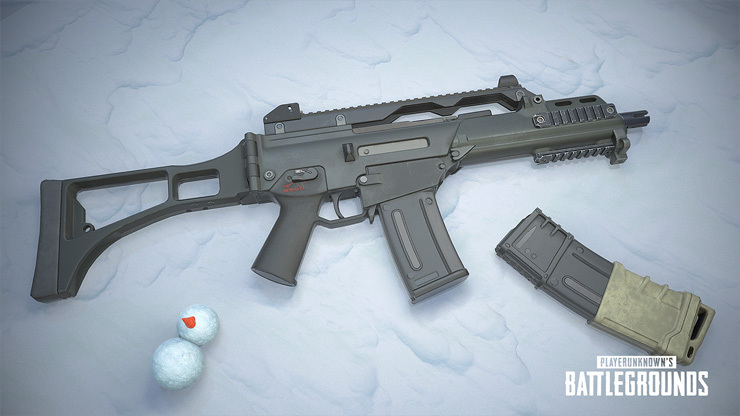 As mentioned, Vikendi is currently on PC test servers, and will go live on December 19. The map will be available to play on consoles in January.